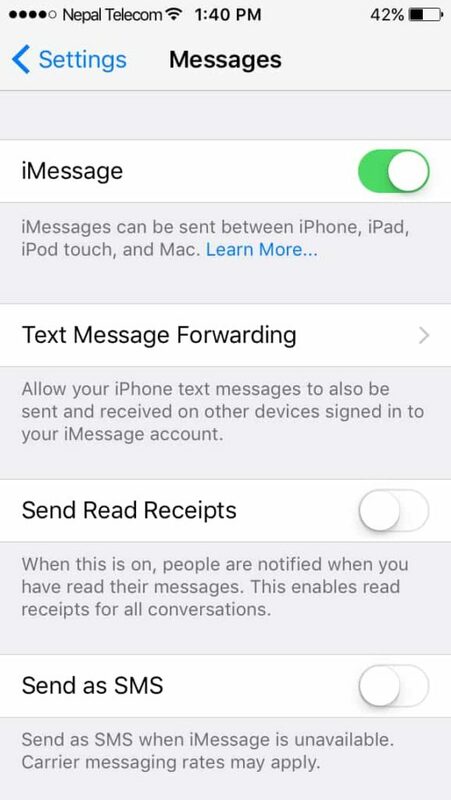 Is there always causing an issue connecting to iMessage? Here’s a 100% fix when your iMessage is not activating or ‘waiting for Activation’ error in iOS 11 or later/below on your iPhone/iPad. When activating iMessage in iOS 11 it shows up waiting for activation whereby it fails to activate. 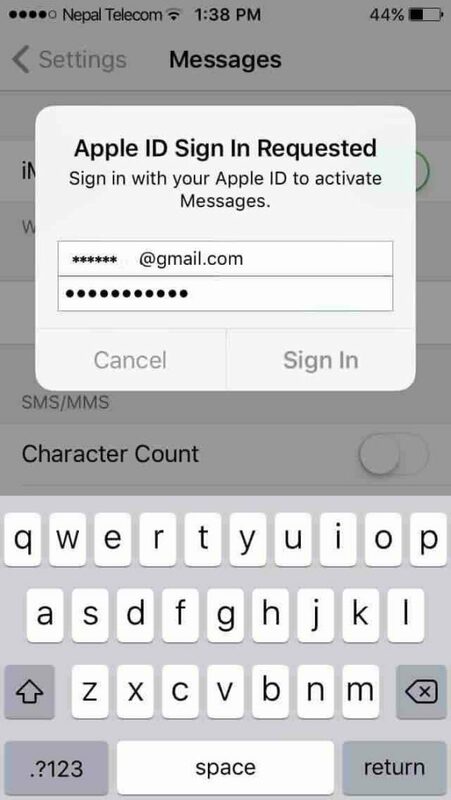 There have been numerous reports about problem with iMessage activation error in iOS 11. Some users got the message like “Waiting for Activation Error” or “An error occurred during activation”, and others seem to be getting a network error of some kind. 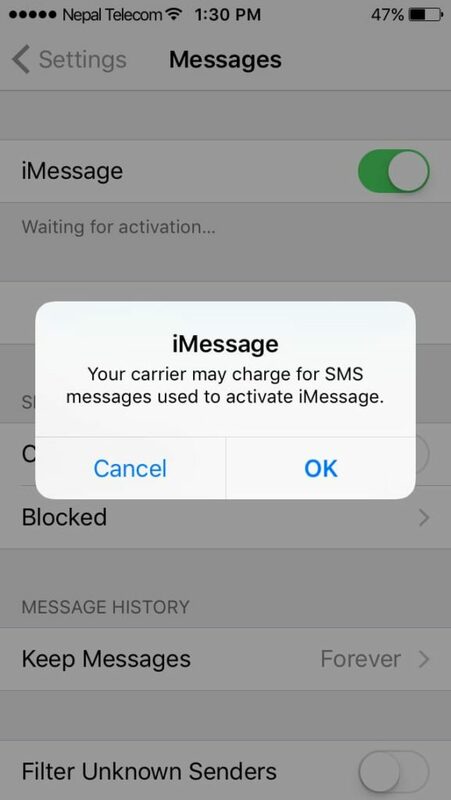 With iMessage to iMessage, you can send a free sms with Wifi connectivity without any carrier charge and is super easy and fast. Along with that, you might be getting issues on Facetime in iOS 11 while activation on iPhone or iPad. 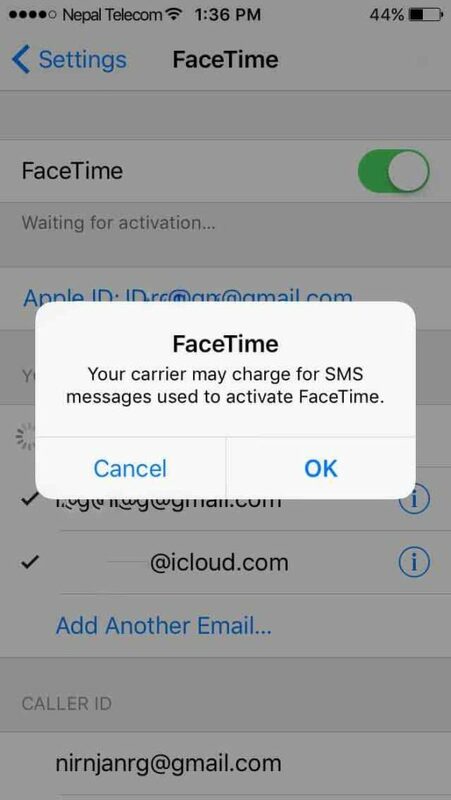 No worries, here’s fix for iMessage activation error (waiting for Activation) & Facetime activation error in iOS 11 on iPhone/iPad which works very well. But all the fixes mentioned above didn’t worked. 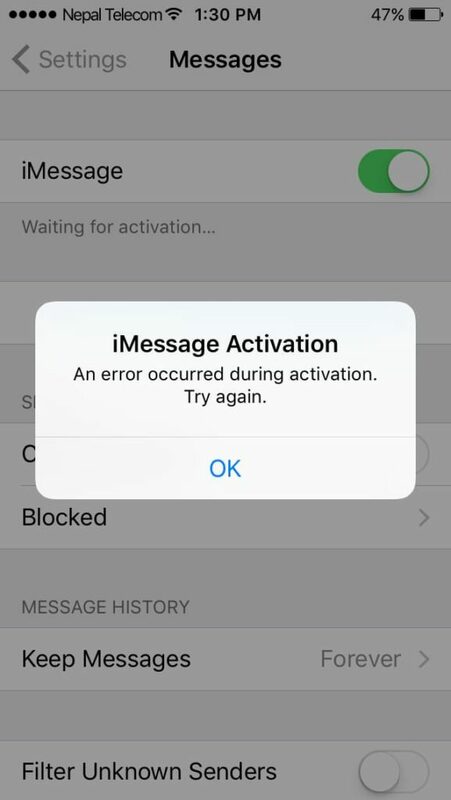 They got some kind of message like “Activation Unsuccessful” , and can’t send or receive texts with iMessage nor can’t make a call with FaceTime. I think it’s Very frustrating! 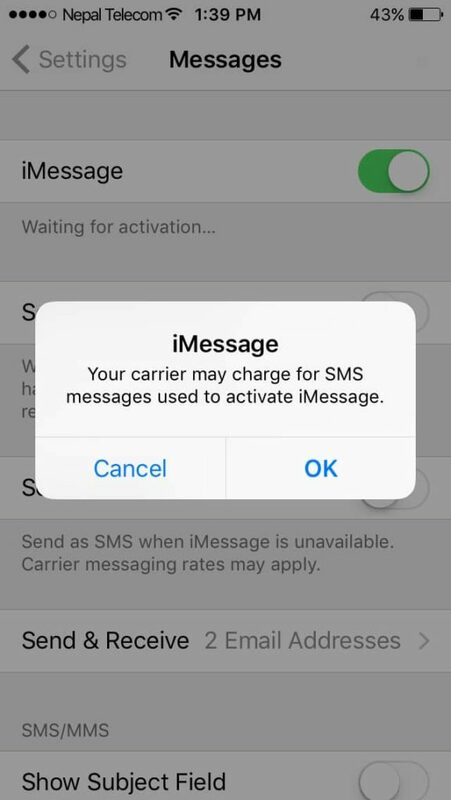 Before begin, you need to be patient and don’t be confuse as it is little bit tricky activating iMessage in iOS 11 without error. Follow this steps one by one to fix activation error or ‘waiting for Activation error’ in iOS 11. Scroll down and tap on Message > iMessage. Toggle ON iMessage button to green and tap OK. It says Waiting for activation and pops an error. Tap OK, toggle OFF the switch and again toggle ON the switch. Now a pop up message box will appear. Now don’t tap on OK. Just CANCEL it. 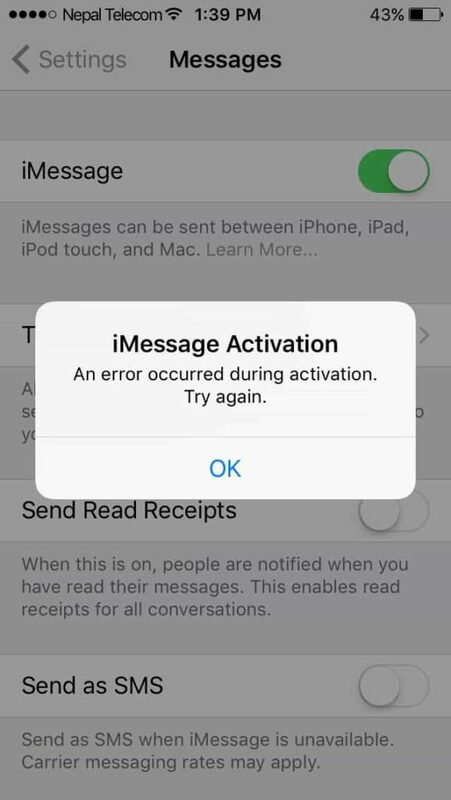 Again it pops up a iMessage activation error message. Ignore it by tapping OK.
Voila ! your iMessage is activated successfully with error fix. You can now send iMessage to any other iOS 11 or below devices. Similarly, those who are stuck in Facetime Activation error in iOS 11, follow the same above method to fix it. It’s really simple to fix Facetime waiting for Activation error in iOS 11. Toggle On the FaceTime button to green and then tap OK. It will pop-up a notification as in the screenshot below. That’s it. 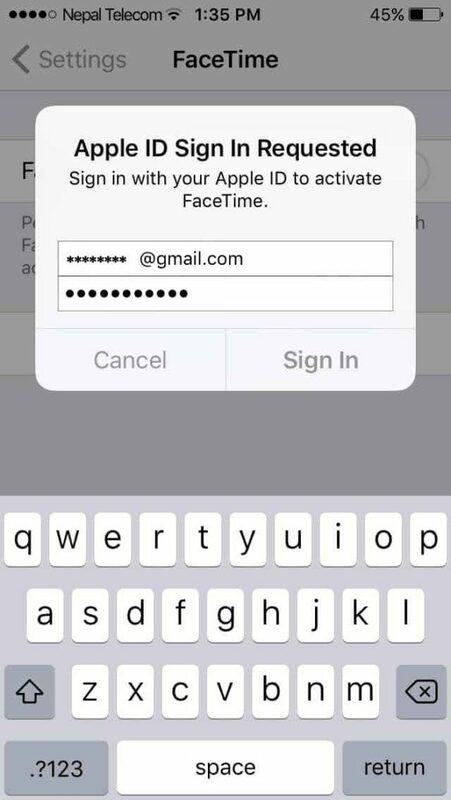 You have successfully activate a FaceTime on your iPhone/iPad running iOS 11 without any error. 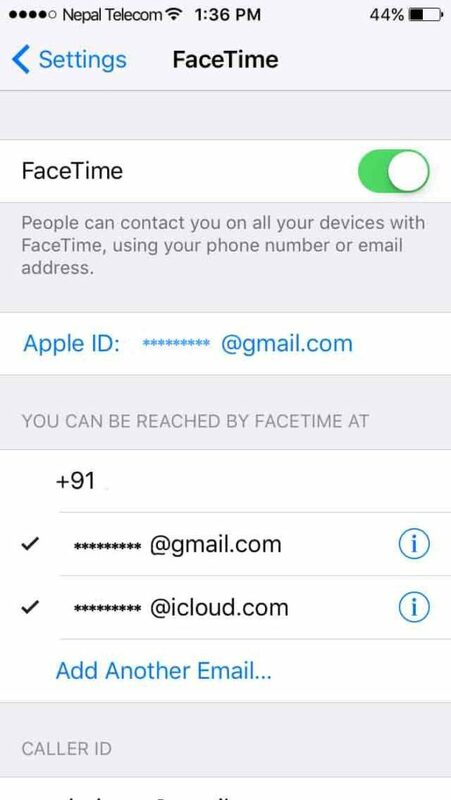 You can now make a call with FaceTime. Try this trick couple of times if it does not work at once. I am sure it will definitely work for you. Share it if you like this post…and let us know your thoughts in the comments section. Stay with us and don’t forget to follow us on Social Networks like Facebook, Twitter Google+, or RSS for more updates and also find us on Apple News.